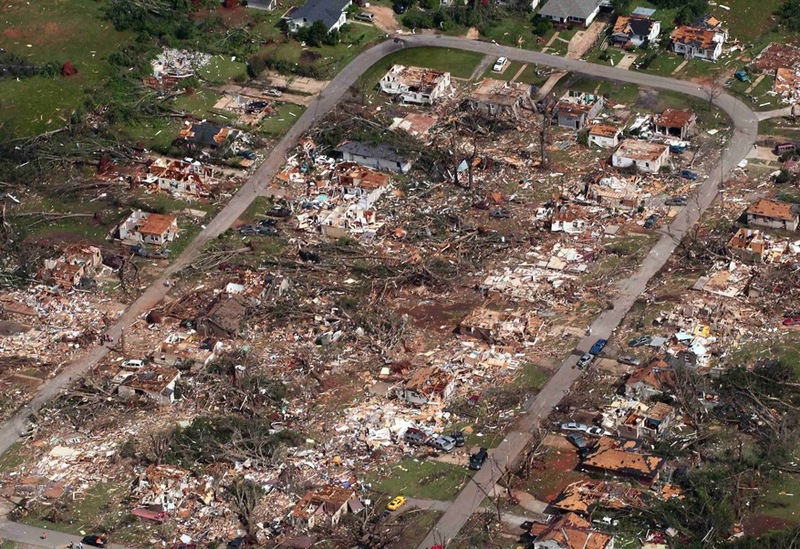 This week’s super tornado outbreak in the Southern United States will go down as one of the most significant tornado events in United States history.Â In terms of the number of tornadoes, the outbreak rivals both the Super Outbreak of 1974 as well as the more recent Oklahoma disasters of May, 2003.Â However, the number of fatalities tops both the 1974 and 2003 outbreaks.Â One instead must look back to the 1932 outbreak to find such devastation. 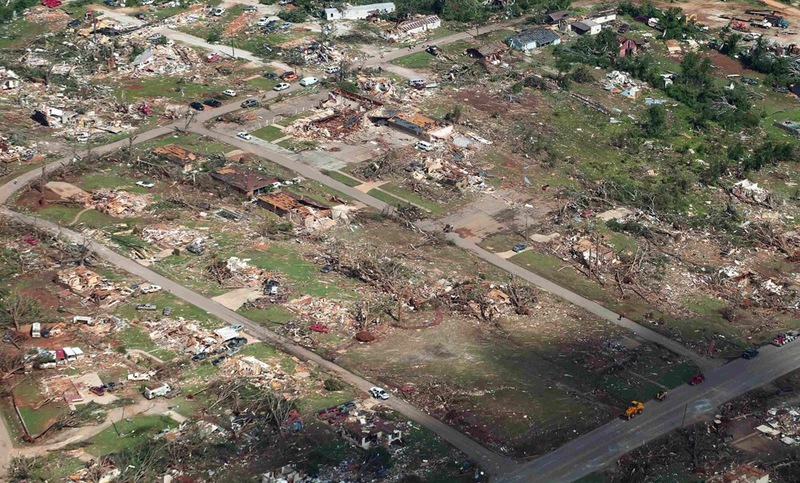 Out of the devastation, a number of stunning images have resulted.Â Â Click each image for a larger view. 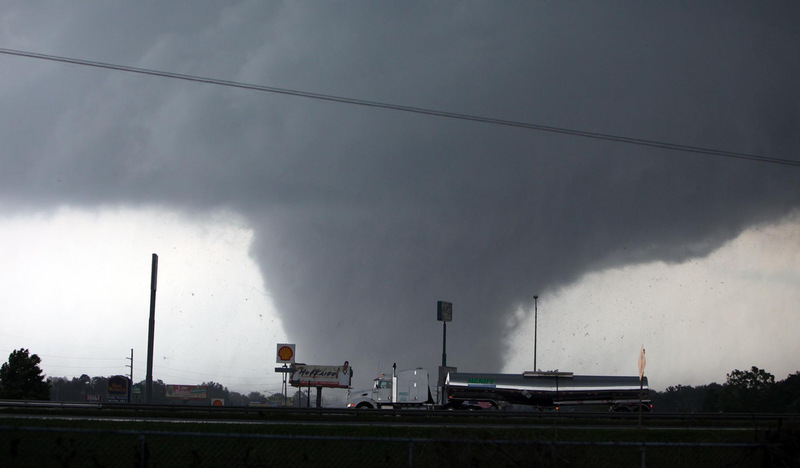 The Tuscaloosa, Alabama tornado of April 27, 2011. Credit: Dusty Compton. 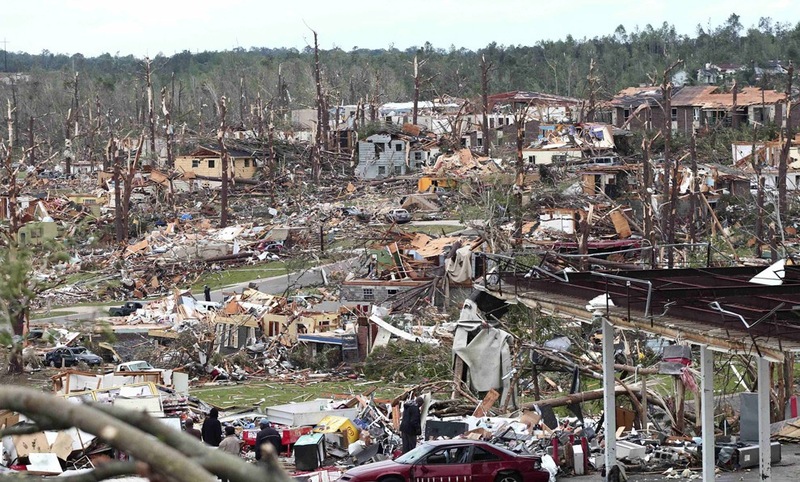 Destruction in Tuscaloosa, Alabama following the April 27, 2011 tornado. 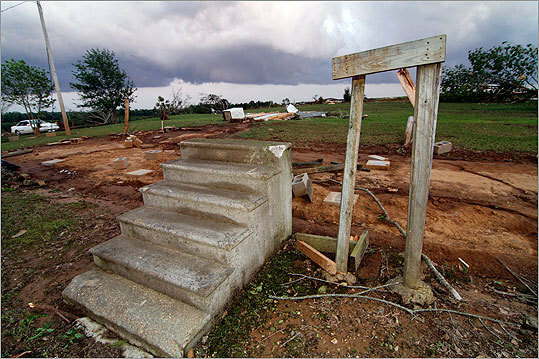 The concrete stairs are all that remain of this Tuscaloosa, Alabama home following the devastating April 27, 2011 tornado. 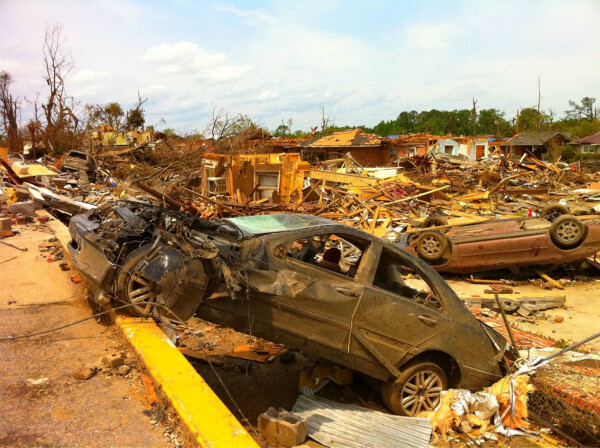 The tornadoes tossed cars around like toys. 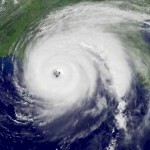 April 27, 2011. 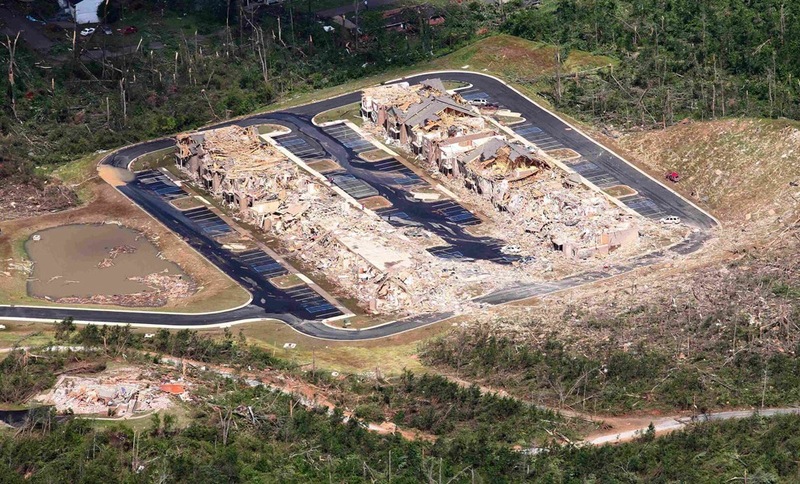 Trees were stripped of leaves and even bark by the winds that topped 200 mph in some of the tornadoes that devastated Alabama. April 27, 2011. 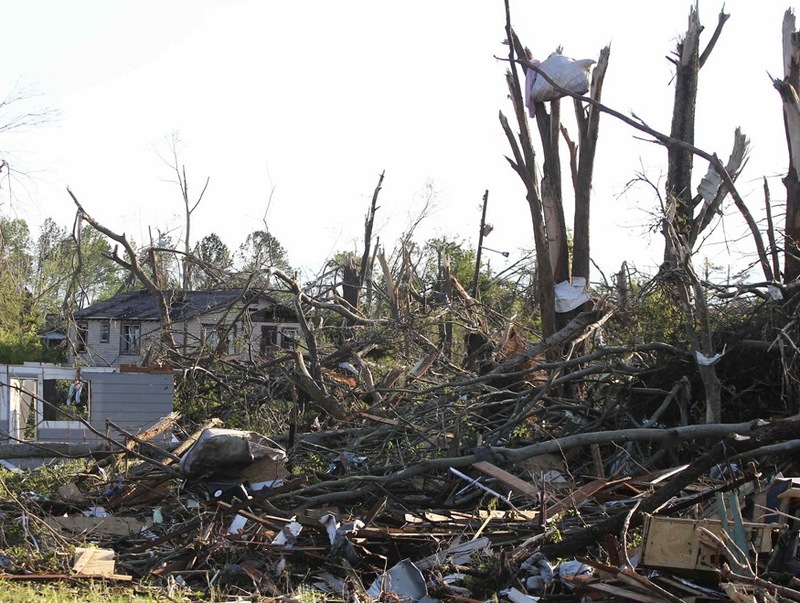 A mattress rests high above the home it once occupied, nestled in the broken branches of a tree stripped by the April 27, 2011 tornado. 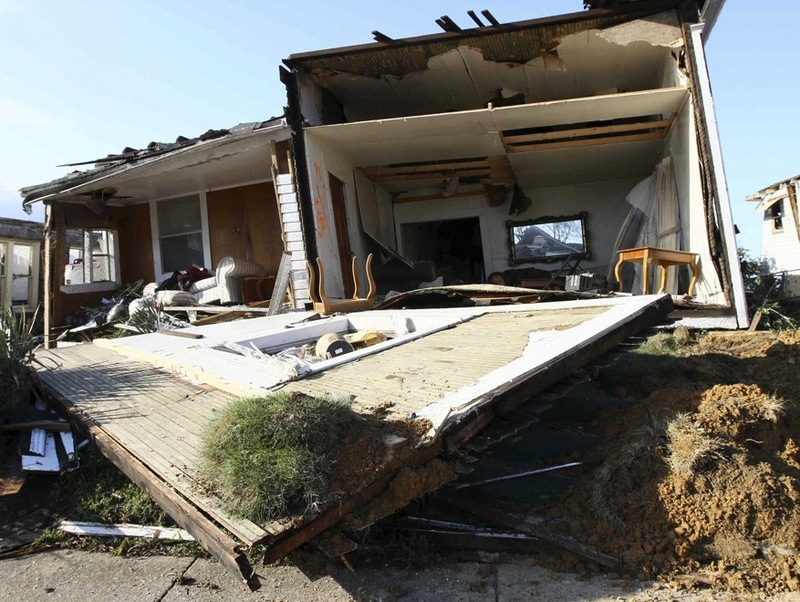 A home had its walls peeled way like the lid of a sardine can during the devastating tornado outbreak of April 27, 2011.